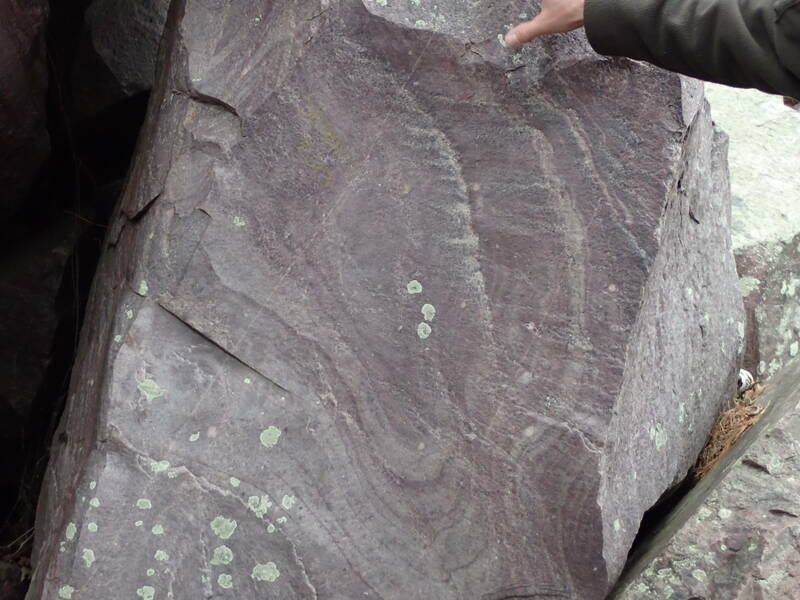 When you think of places with amazing geological formations I doubt Wisconsin is the first state on your mind; however, Wisconsin’s unique location allowed for remnants of the most major geologic events in world history. The catastrophic view of world history has great predictive and explanatory power, while the unitarianism view cannot explain many anomalies in geology. Before the flood the world had lower mountains, and shallower oceans. The oceans had more sand and high lime content. The Rocky Mountains are a good example of block fault mountains. The ocean floors are made of the igneous rock basalt, while the continents are made of granite. Since granite is less dense than basalt the continents float higher on the mantle. At the beginning of the Flood the ocean floor fractured and began to subduct under the granite. As the cool solid crust slides into the mantle around the coastline, the hot magma replaces it at the ocean center. The less dense magma flash boils the water creating huge amounts of steam and displaces the ocean water onto the land via tsunamis and a rising ocean floor. 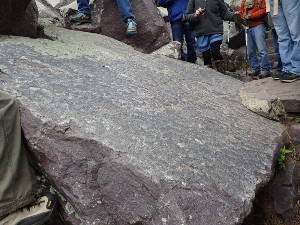 The ocean floor was 3,000 ft higher when the basalt was hot. With the old floor subducting and the water overflowing all the sand and sediment in the basin are pushed/scraped onto the continents. In 150 days the entire ocean floor was replaced with new, hot, less dense basalt. The old cool ocean floor sank into the mantle causing convection currents which rapidly and repeatedly flipped the Earth’s magnetic field. 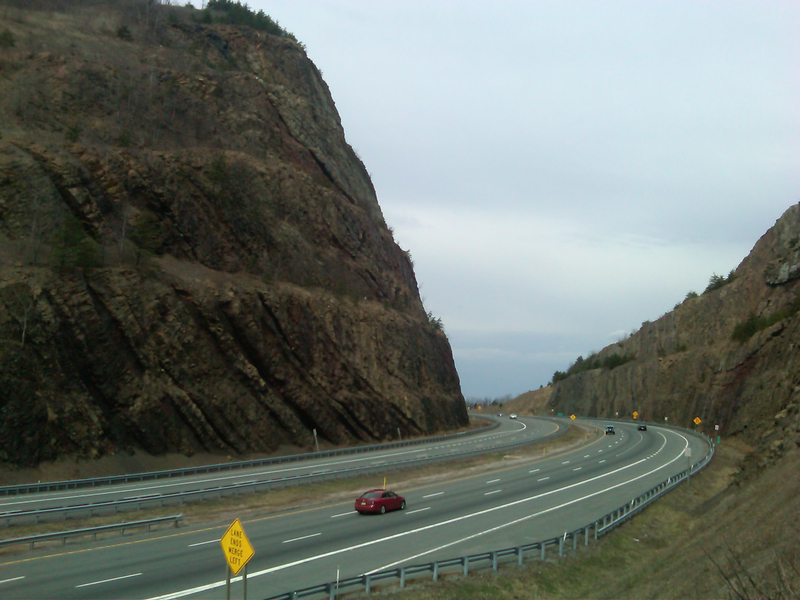 The Appalachian Mountains are an example of folding rock layers when plates collide. Three mountain types formed during or as a result of the Flood. Block fault mountains formed when the pressure in the mantle caused by the cooling and sinking ocean floors was suddenly released by raising very large blocks of continental crust. The Rocky Mountains are a good example. A second type of mountain was also formed by the release of mantle pressure by the extrusion of lava on to the surface forming volcanoes. The Cascades are a good example of this type. The third type of mountain was made by the folding of rock layers likely caused when two plates collided. The Appalachians demonstrate this type. Some mountain ranges are a combination of two or more of these three types. As the old floor melts it creates a moving plume within the mantle. These pockets of magma still push up through the surface today and create volcanoes like the Hawaiian islands and Yellowstone. Wisconsin contains amazing geologic formations from each of the major events in geologic history: Creation, The Flood, and the Ice Age. Sand ripples that metamorphosed into quartz from catastrophic movement, possibly during the creation week. Crossbedding in quartz from fast-flowing water during day 3 of the creation week. - Is on top of layers containing fossils. On day 3 of the creation week God said, “Let the dry land appear.” And it was so. It does not look like this was an instantaneous process, but like the rest of the creation God used supernatural movement of natural processes (during the span of one 24 hour day) to create the land. At the beginning of day 3 the sediment that makes up the Baraboo quartzite was below the surface of the water. As God moved the land to the surface the heat metamorphosed the sand into quartzite. Slickensides at Devils Lake are evidence of massive plate movement shortly after the quartz formed. Potholes 500 ft. above ground level could only have formed from a worldwide flood. At Devils Lake you find potholes that were carved from swirling water. 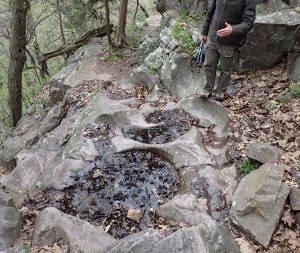 The potholes occur on the inside corner of a river bend when a course rock (chert) settled in a depression and were spun by the water moving past. 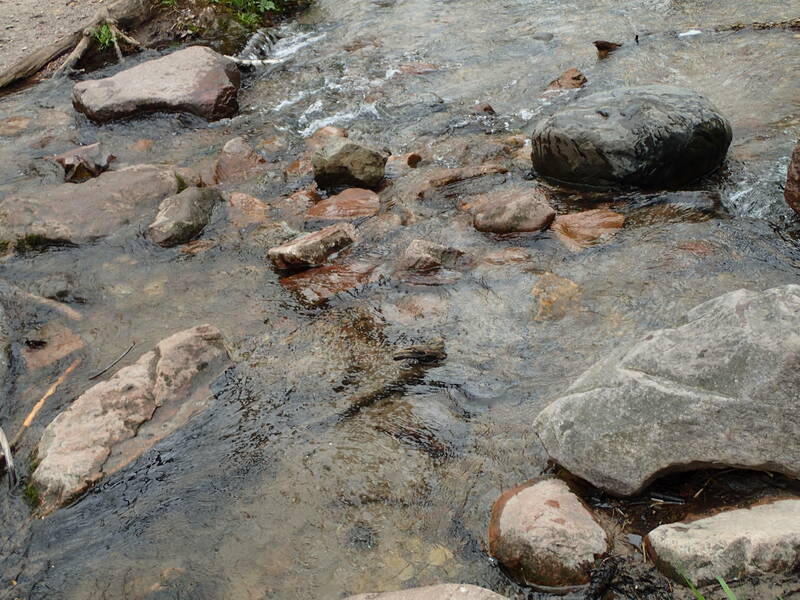 The mystery for long age geology is how a river was flowing 500 ft. above the ground level! These potholes must have formed from the worldwide Flood waters as they were leaving the continent because at no other point in history was the water level that high. 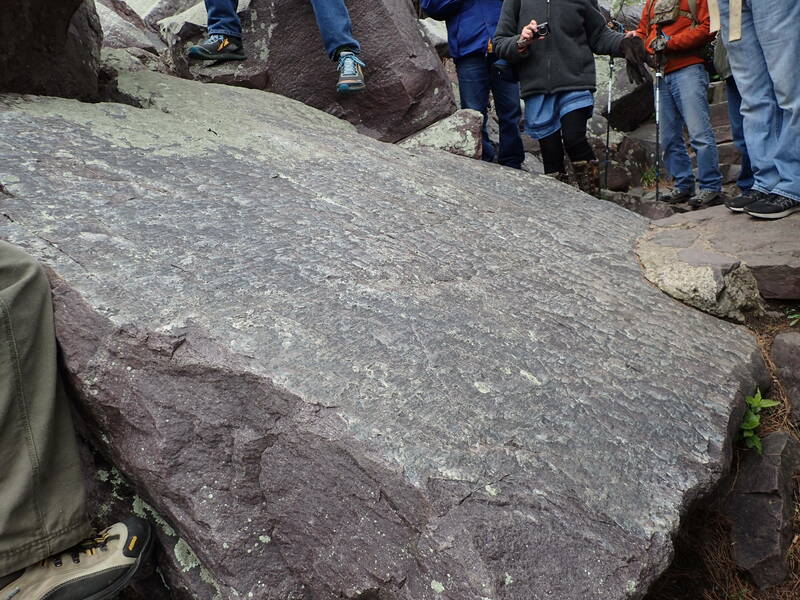 At the height of the Flood there was as much as 325 ft. of sedimentary rock above the top of the Devils Lake bluffs. 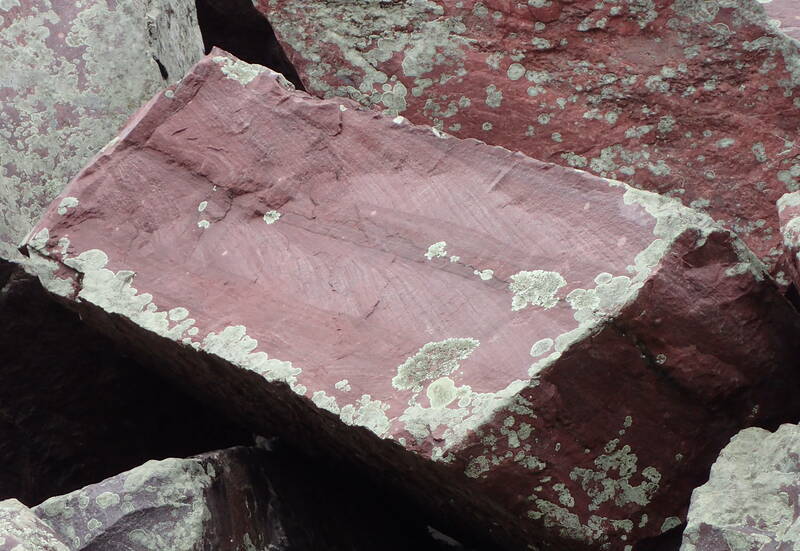 These sedimentary layers can still be seen in other places in Wisconsin like Blue Mound. 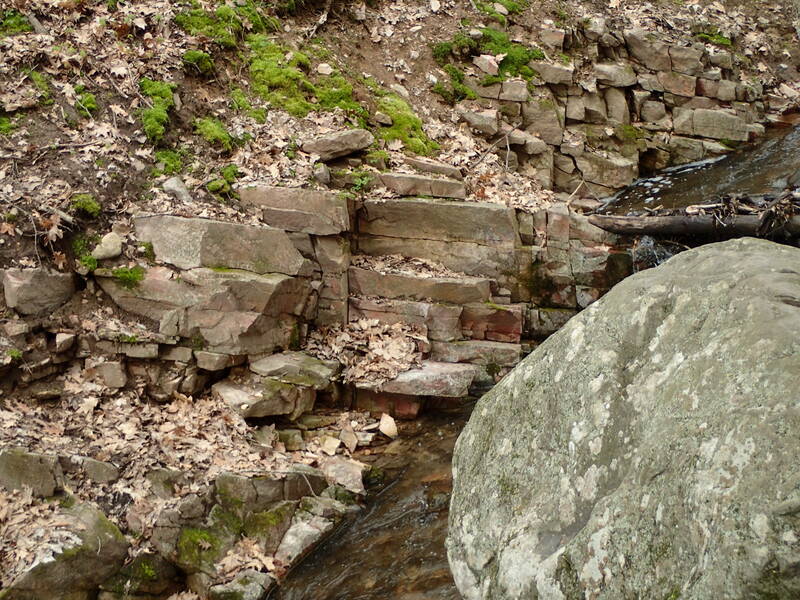 The hills behind Parfrey's Glen are made of Baraboo quartzite which is only visible at a small outcropping. 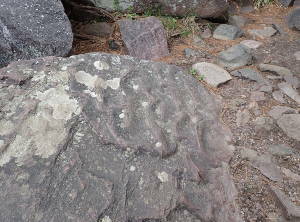 The hill behind the glen is made of the same Baraboo quartzite at Devils lake but is only visible at a small outcropping. 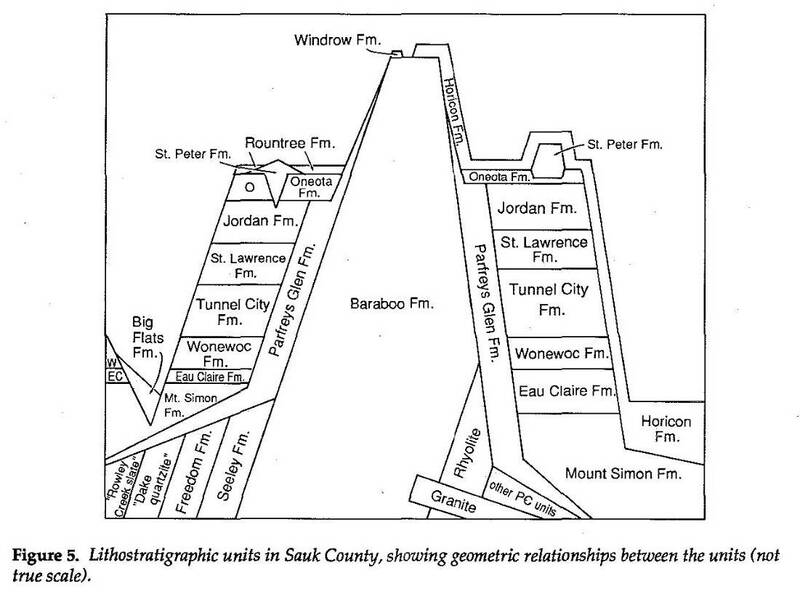 You can see the 25 degree angle consistent with the Baraboo bowl shaped syncline. 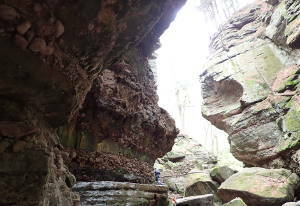 The Parfrey’s Glen conglomerate sandstone would have been the first layer deposited in the worldwide Food. The worldwide Flood covered the entire Baraboo formation depositing the Parfrey's Glen formation with no evidence of time passage at the intersecting layers. The problem with uniformitarian explanations of the Ice Age is that they rely on a cold Earth. If the Earth is cold, then there is less evaporation. Less evaporation means less precipitation. Less precipitation means no ice for an Ice Age. The worldwide Flood would have caused massive volcanic activity. The fault zones turned into a 49,000 mile ring of fire filling the atmosphere with aerosols and flash boiling thousands of cubic miles of water. When things settled after the flood all the oceans were warmed up over 36 degrees on average. Warmer oceans cause more evaporation. More evaporation caused more precipitation. The increased aerosols caused cooler summers where the ice did not melt. Computer modeling shows hypercanes would have dropped up to 200 ft. of snow per year on what is now Hudson Bay. The ice continued to build for about 500 years, and then receded for about the next 200 years. The glaciers flowed from Hudson Bay at the rate of about 4 to 10 miles per year. They were slowed down while passing over Lake Superior and Lake Michigan heading for Wisconsin. Devils Lake is where the glacier ended leaving the remaining southern area of Wisconsin the Driftless Area. As ice dams broke the glacial lakes rapidly carved through layers deposited in the worldwide Flood. 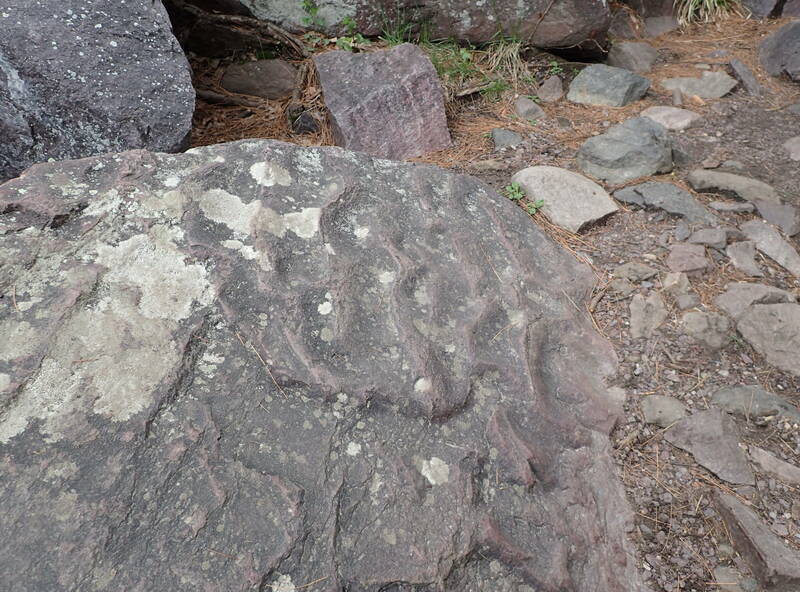 The southern entrance of Devils Lake contains a terminal moraine filled with glacial till. 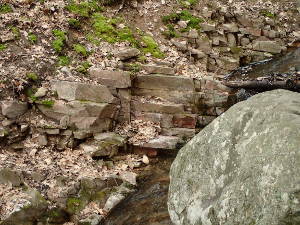 The till filled what was once a river flowing from the north and out the east narrows to the Wisconsin River. Today Devils Lake is spring fed and has no outlet. At the bottom of the Devils Lake cliffs is a thick layer of talus (large quartzite boulders). The almost daily freeze thaw cycles during the Ice Age caused rocks to crack and fall off the cliff at a much faster rate than we see today. The Bible refers to snow or ice four times. Job, who probably lived at a time that the glaciers were reaching their maximum extent, is the only Biblical author to mention what we would call ice sheets in Job 37:1-13. In Job 6:15-16 he compares his friends to an intermittent wadi that flows with turbid water from ice melt. Winter ice melt is clear, but the book of Job describes the water running off the ice as “turbid” which means it is not muddy, but it is carrying rocks and rock powder just like glacier melt.